Don't be left hanging with only a few lines of basic usage. Go, The Standard Library gives you complete example code. 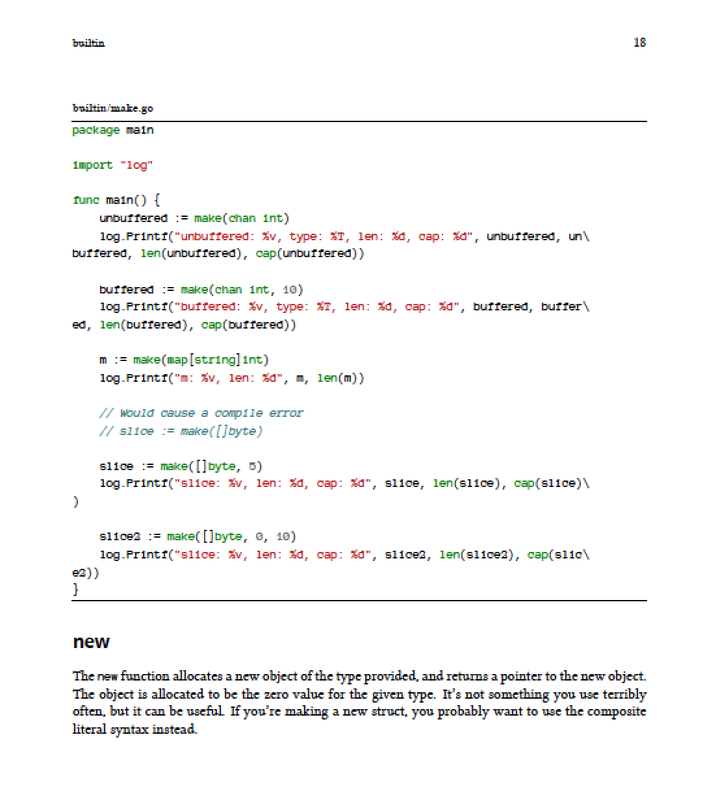 Fully runnable programs, inline in the book and available for download from Leanpub. Learn The Standard Library inside and out, making you more productive with less dependencies. If I miss a topic, tell me and I'll add it! Dive deep for only $29! Sick of theoretical examples only suitable for documentation? 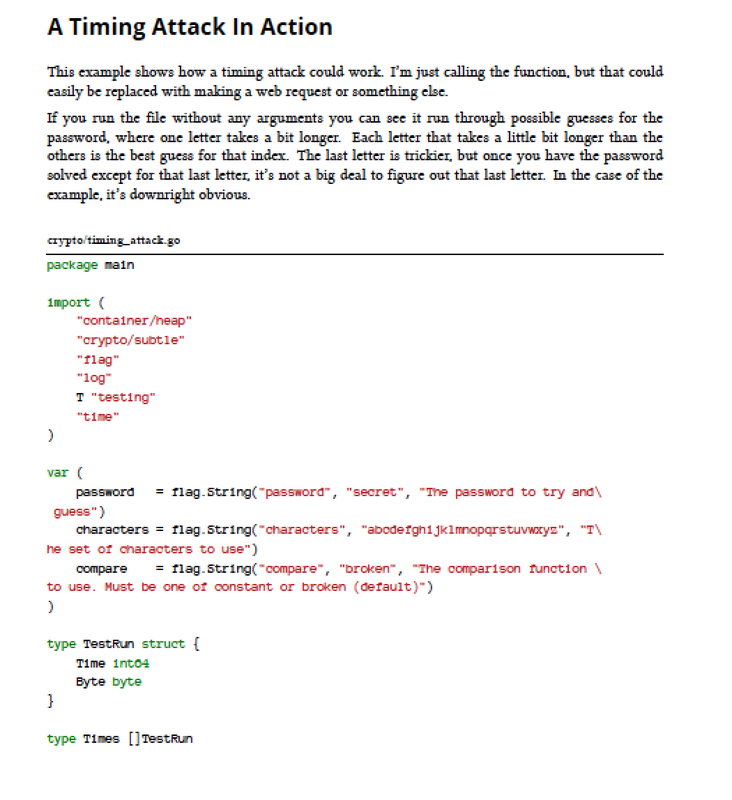 Get real world code, like supporting gzip bodies from HTTP clients and a look at a timing attack (and how The Standard Library can help prevent it)! Improve real world projects, only $29! With Go, The Standard Library, I give you the tools to take Go by the horns and be productive without installing every library on Github. 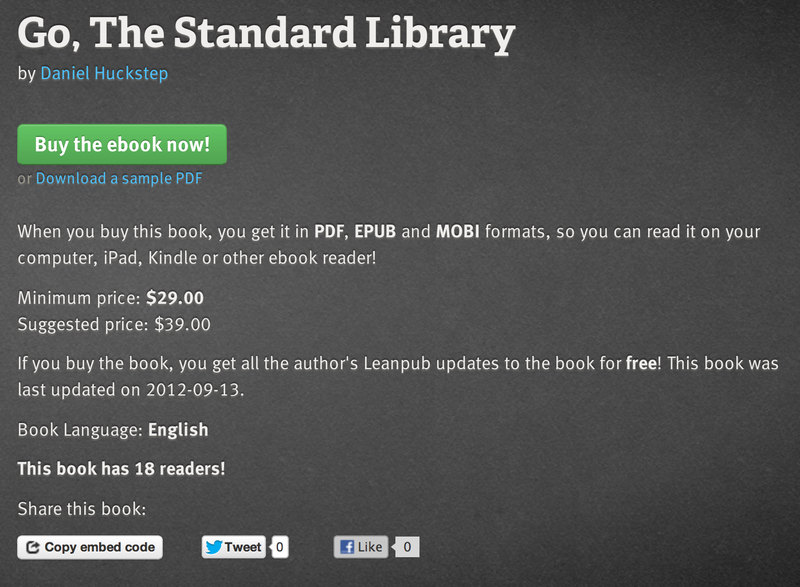 Safely pay through Leanpub and get PDF, MOBI, and EPUB formats so you can read it anywhere. Get free updates as I finish more chapters. I am serious. And don't call me Shirley. Get it now before I change my mind! 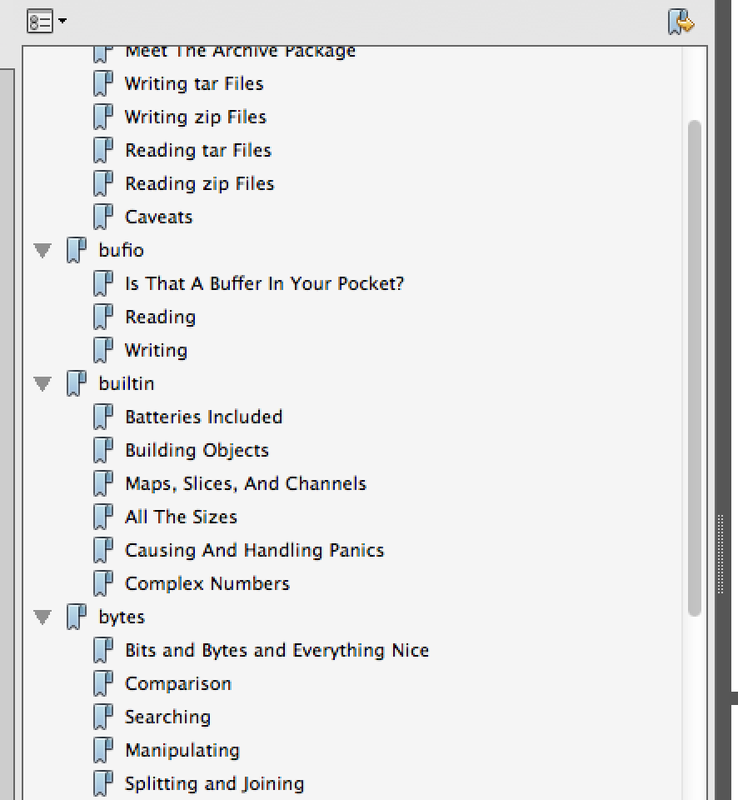 It's an in depth look at the library of packages that come standard with your Go distribution, and it's a big library. We're talking 38 top level packages. Great grandmother's memory allocator! What if I don't want to hand over my hard earned $29? If you're not quite ready to part with 29 clams just yet, two full chapters are available as a Go, The Standard Library free sample. You can also check out the table of contents outline too, which isn't even close to done yet and we're already up to 398 pages! I mean, you're already at way less than a dollar a page. I'm no mathemagician, but that's a pretty solid deal to me. As I go, that price might go up a bit more. Lock in your $29, and get free updates forever, with absolutely no DRM!